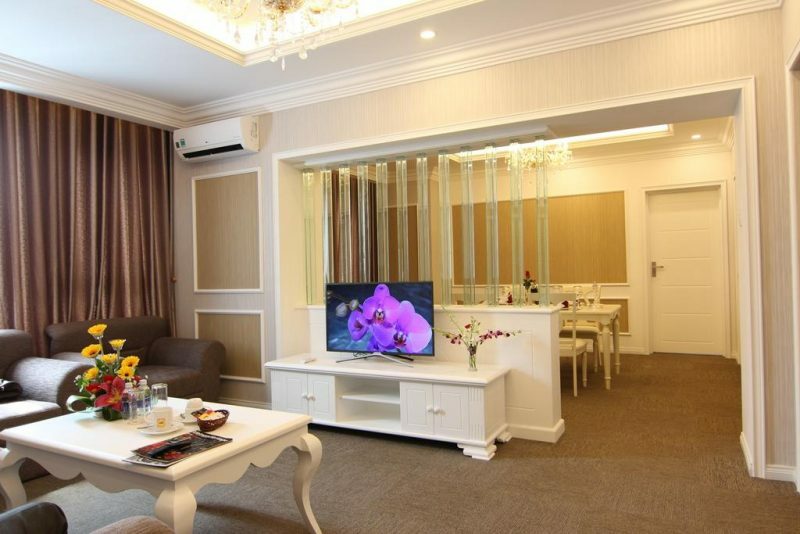 Rex hotel is well-known in Vung Tau city of Vietnam as one of the first international standard three-star hotels and recognized as one of Top Ten three-star hotels of Vietnam for years.Located in one of the most beautiful city, nearby the Petro vietnam Tower, the main office building of Vung tau city, within a few minutes walking to reach the Front beach and very close to many tourist attractions of Vung Tau city, REX hotel is ideally convenient for staying working, visiting, relaxing and shopping. 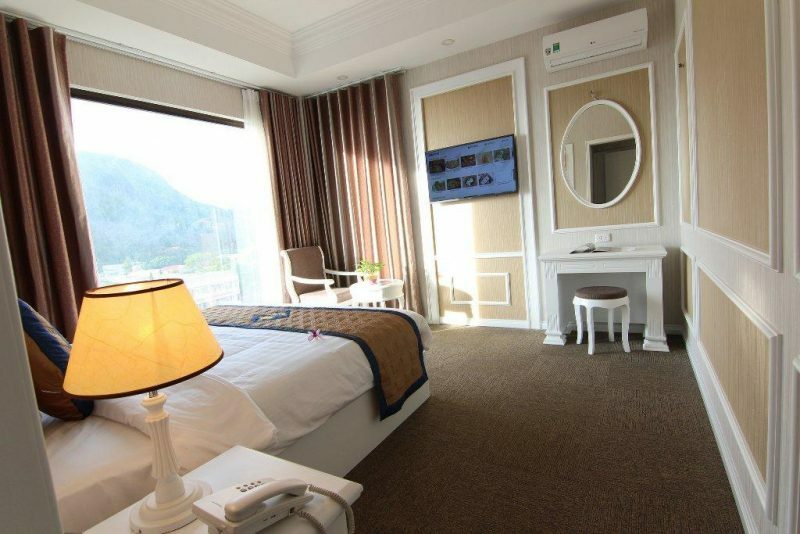 Rex hotel comprises of 77 well-appointed guestrooms with stunning view over the sea, mountain and downtown of Vung Tau city. 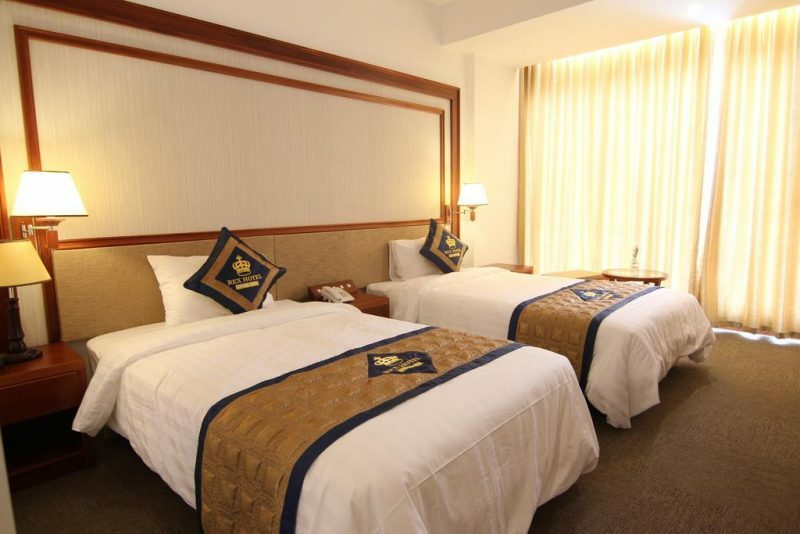 All the rooms are featured with a traditional and sleek design with warm furnishing. 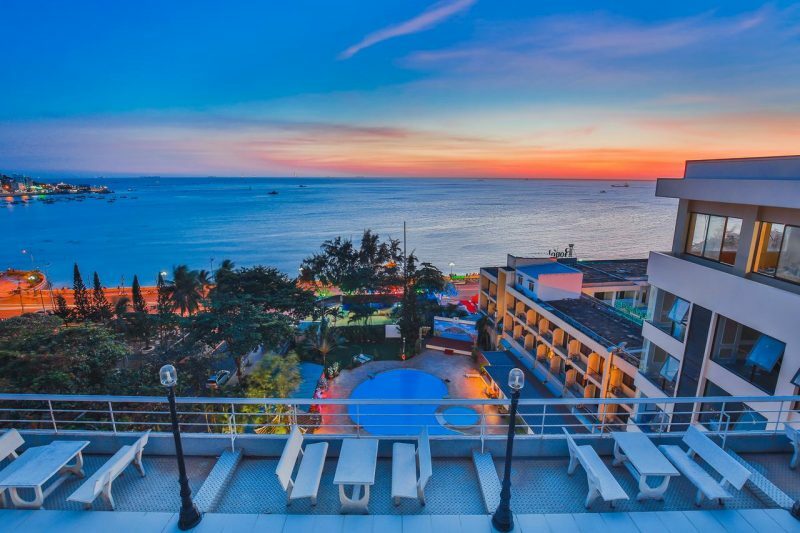 Guest can enjoy the fresh air and sea breeze from every private balcony.With the service quality better day by day as well as skillful and experienced staff, we will assist you in whatever requests you may have. 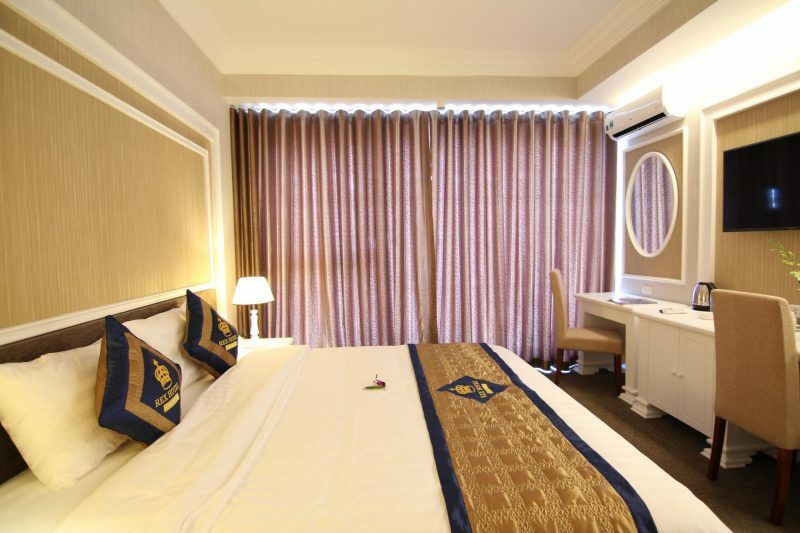 Both leisure and business travelers will find all necessary services concerning Accommodation, Food & Beverage, Conference Facilities, Business center, Transportation and Tours conveniently accessible at Rex hotel. 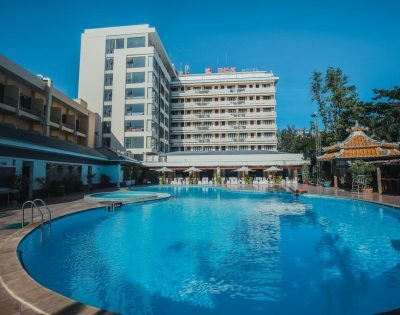 Our obligation is to make REX hotel be “Your home away from home” when you go on vacation or business to Vung Tau, a beautiful coastal city. Located on the ground floor, all of the elegant bars welcome you in a relaxed atmosphere and a gentle lighting, with the extensive drink menu offering a great variety of classic and modern drinks as well as a selection of popular wines. Star t a new day with a cup of coffee or tea while reading newspapers or watching news on 48” satellite TV available in the Lobby bar. This is also suitable for one who does not miss a beat from worldwide sport news. Daily open hour: from 7 am to 11 pm. 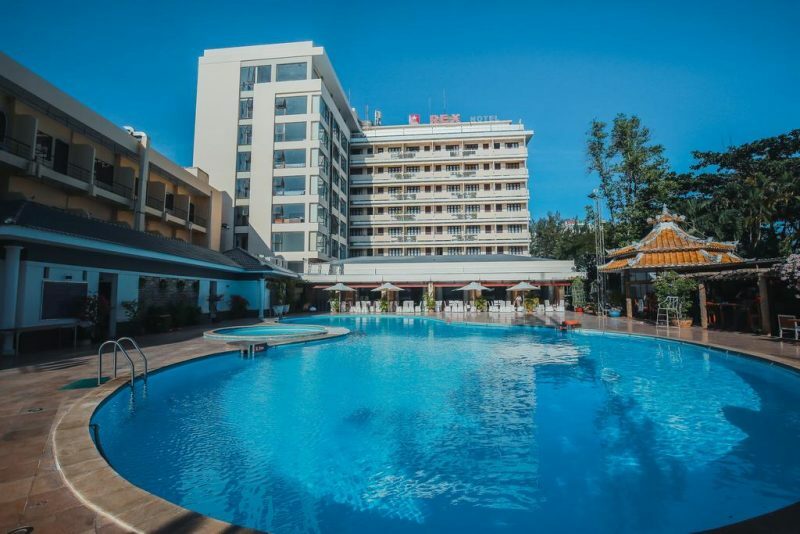 Our hotel features a large-size outdoor pool in a fresh garden environment. Relax at this true oasis, you can unwind the day and release the stress. It is a perfect place for sunbathing while enjoying your drinks. Freshly fruit juices, cocktails, beer, wine and other drinks are available for you to refresh. Looking over the swimming pool and garden, the Fitness center offers a full range of machines for the perfect workout and relaxation. This workout will help you stay fit and invigorate your mind and body after a long day. An extensive menu of body and beauty treatments is available. All massage and spa services provide a safe, effective treatment and recovery process. A wide range of car from 4 seats to 16 seats is always available for your choice. All of them are modern and comfortable, available not only for short distance around city but also for long distance. You can rest assure a safe journey by our experienced and careful drivers who know exactly where you want to go.